Top International Model of the World will be gathering once again models from around 25 countries around the globe in one UNIQUE modeling contest. This year, models will have some job specific activities as well as some cultural activities. For the opening night of the 67th Berlinale, Bulgari hosts its exclusive “Night of the Legend” party, welcoming celebrities and VIPs to enjoy a sparkling night with legendary jewels. 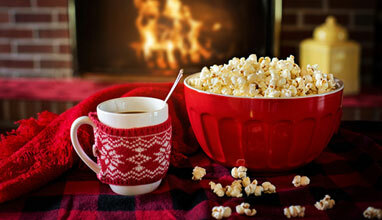 In the world of sickness and sedentary, experts found the key of health of the body and soul. 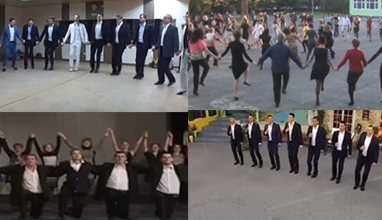 It is called FOLKNETIKA - a 10-minute everyday team building at the work place - a dance, based on the asymmetric meters of Bulgarian horo (traditional folklore dance). Nowadays, the total immobilization of people is a very important theme. 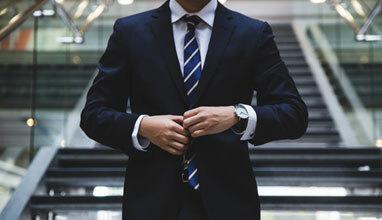 The way of life we live is different – most of the professions require a sitting position all day long and our bodies are forced to get used to that. We talked about the new team-building called FOLKNETIKA – it is the key of the good health condition and happiness of your employees. 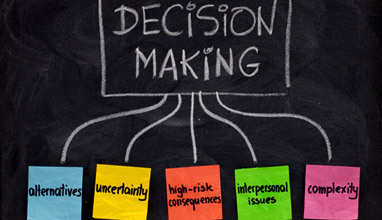 Using a variety of hands-on and thinking exercises, lecture, and discussion, this Theory of Constraints (TOC) Flow and Decision Making Using TOC workshop provides an understanding of TOC flow and focus concepts in a variety of environments beginning with operations. 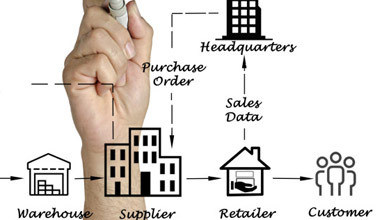 The workshop Managing Supply Chain the TOC Way presents the TOC approach for managing supply chain with the purpose to achieve fast and smooth flow of inventory through the supply chain links. 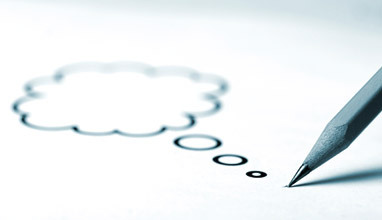 The workshop TOC Thinking Processes gives an overview of major TOC logical tools and presents practical mechanics on working with the central logical instrument - the Cloud. 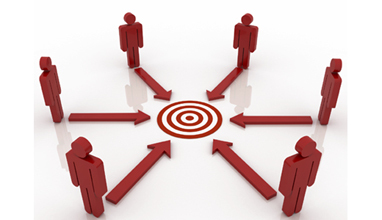 Projects are more and more a critical factor in business. 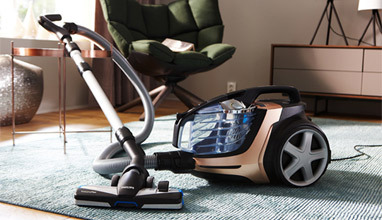 Many companies sell products that are created through projects (e.g., machinery and special equipment, construction, software) or sell services (e.g., equipment maintenance, engineering, and healthcare). The Theory of Constraints International Certification Organization (TOCICO) announces a 2-Day workshop conference to be held at the Pravets Resort in Pravets, Bulgaria on June 8-9, 2016, featuring Keynote speakers, Round Table discussions and TOC Workshops. Bulgarian #1 tennis player Grigor Dimitrov is your favorite sportsman in BGFN Readers' Most Stylish Men April 2016 voting. Grigor Dimitrov is the most successful Bulgarian male tennis player, both in terms of ranking reached - world No. 8 (achieved in 2014) - and prize money won - $6 million. 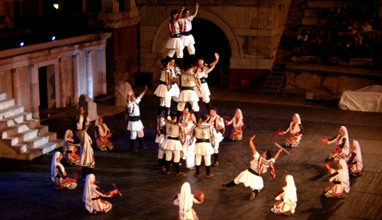 'I expect that first we will present Bulgaria really well, then we will present the Ensemble and our culture well. 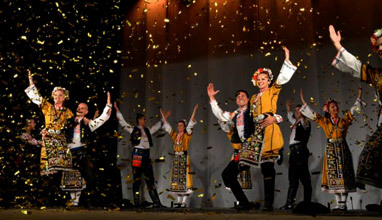 Our spectacle is an ambassador of Bulgarian traditions - for all Bulgarian in Bulgaria, for all Bulgarians abroad and for all other people in the world. 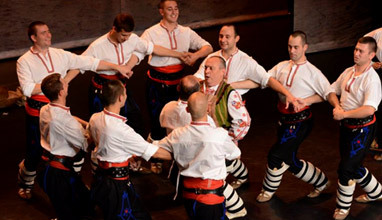 Bulgarian folklore is a wonder - it is the richest on the planet', commented Hristo Dimitrov. 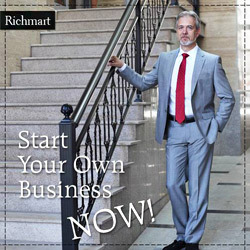 Richmart is the most modern factory in Europe, offering men's made-to-measure and made-to-order suits. 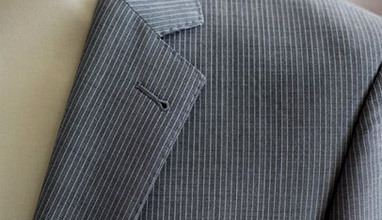 It has more than 600 employees and a capacity to produce 1 000 men's suits per day. 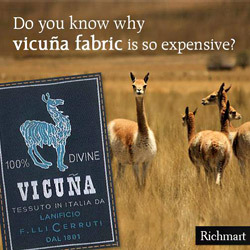 Richmart manufactures collections for world famous brands from more than 30 countries. The forum brought together experts from the academic, business and design communities in the fashion industry. Fourteen Winners of Golden Needle by the Academy of Fashion, fashion design students from four Bulgarian universities and Bulgarian designers, who have presented their work on world fashion stages, took part in the fashion show. 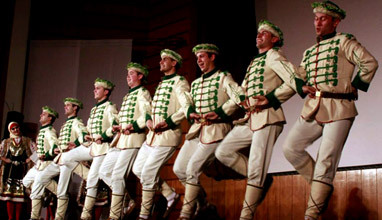 The accent of the event was the presentation of contemporary clothing with references to Bulgarian folklore. Join the biggest horo in Copenhagen, Denmark! Be Global Fashion Network announces a global research of the street fashion. 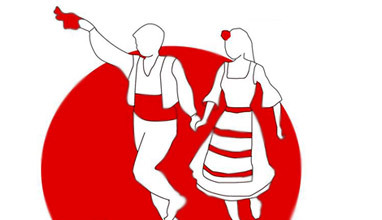 The campaign will start on May 24, 2015, when Bulgarians and foreigners in Bulgaria and abroad, will dance traditional Bulgarian folklore dances in contemporary clothing to show the actual apparel, worn on the street. Richmart Ltd respects and prices copyright of each artist. 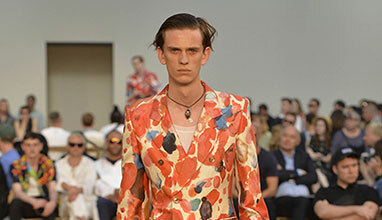 Each designer retains copyright over their own model. Richmart Ltd has no right to reproduce, manufacture or use the proposed models as their own without the consent of their authors. 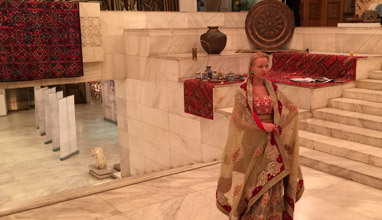 The Embassy of Pakistan in Sofia, Bulgaria, in coordination with the European and Bulgarian fashion institutions, organized a high profile cultural event named 'Fashion & Design in Spectacular Pakistan', at the National History Museum, Sofia, on Friday, January 30, 2015. Bulgarian fashion designer Veselka Krachunova will present her label's latest collection during the 6th edition of Fashion Week Las Vegas (16-20 February 2015). 2015 Bridal collections of White One by Pronovias Fashion Group, Enzoani, Demetrios and Modeca are already available at 'Brilyantin' wedding center in Burgas, Bulgaria. 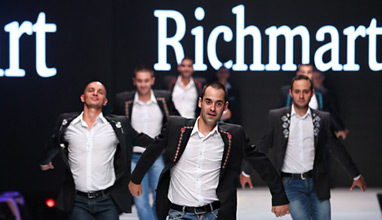 Inspired by the beauty of traditional Bulgarian dances, the leading manufacturer of men's made-to-measure suits Richmart starts a National contest for Folklore dances and fashion 'Richmart Fashion Show'. 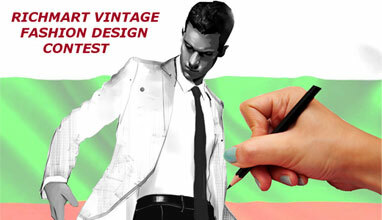 Everyone who loves Bulgarians folklore and fashion is welcome to take part in the project. After the presentation of Kristo by Richmart coats collection, Bulgarian hip-hop singer Kristo, continues his work on innovative projects. In the beginning of the month he presented his latest song 'Fast life' - a hip-hop track in combination with traditional Bulgarian dances. 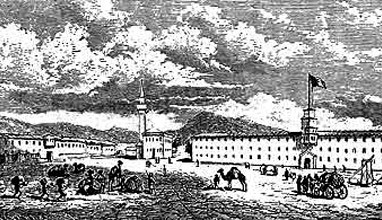 In 1834 in Sliven, Bulgaria, Dobri Zhelyazkov laid the foundations of the Bulgarian textile industry. In addition to its exhibiting weavers offer, Première Vision presents a space dedicated to knitwear experts at Hall 6 South. 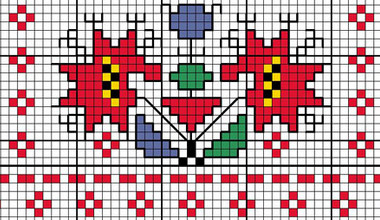 The platform dedicated to creative flatbed knits brings together hall 6 south international knitters, as well as spinners, knit studios (at Indigo), and machine manufacturers: four complementary activities dedicated to the development of knit collections. 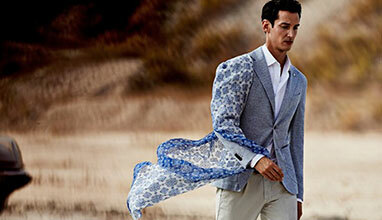 101 Private Line is a manufacturer of ready-to-wear clothes for men, according to a strictly French know-how. The brand has a shop in Jerusalem, Israel. 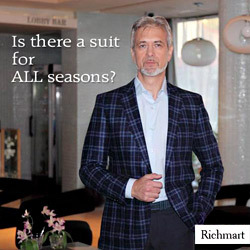 Representatives of 101 Private Line were on a visit to the Richmart men's suits factory in Ruse, Bulgaria and shared with us some thoughts about men's fashion in Israel and Jerusalem. Irina Lazova from Bulgaria has been selected for 'The Lycra - Future Designer Award'. She graduated from London College of Fashion in June, 2013. Previously, she has a BA in Public Relations and considerable experience in the field of advertising. 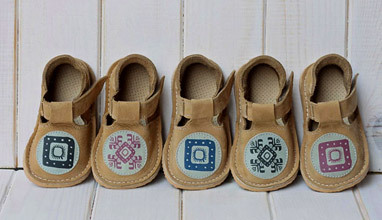 These activities have helped her to build her design style, modern and bold, but still focused on the consumer interest. Her collection, which participates in the race, is described as' luxury sportswear "or sportswear for non-practising women. We present models prom dresses 2013 of the Bulgarian fashion designer Mira Bachvarova. With the coming of spring fashion blossoms. 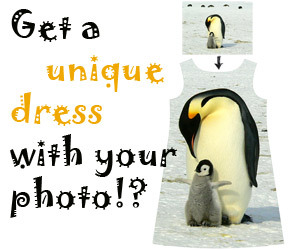 If you want a new image - charming and fascinating, you can find it in the online shop of the designer. 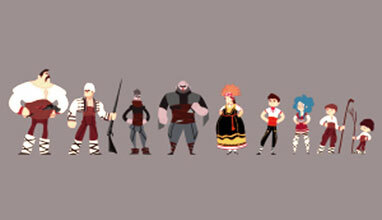 In the online store every day you can see new original models. 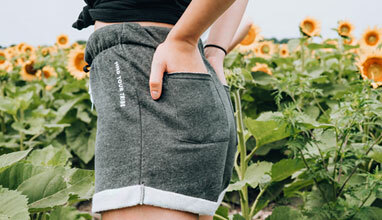 Interesting and original garments for ladies with bold unique style! Days before the spectacular show of Romantika Fashion on the occasion of the 20th anniversary of the brand, the top designer Sofia Borisova revealed the face of her Anniversary Collection. This is the business woman Yordana Dimitrova, Missis Bulgaria 2012. The Bulgarian brand Avin boutique presented its first collection in France, where the collection was sold out for two days. 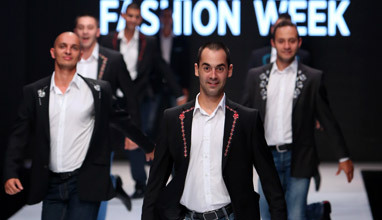 This is a huge success for the Bulgarian fashion brand. The collection is named "A day with a Star", the model of the collection is Aglaia Vassileva. A representative of Avin boutique said that for them this is a tremendous recognition by French women and they already prepare a new collection, even better than the last one. Stylish fashion show at the ceremony of "BG Fashion icon 2012"
In the fashion show at the official ceremony of rewarding the most elegant Bulgarians – BG Fashion icon 2012 – were presented the newest collections of FEDE fashion studio, MOHITO and fashion house Junona. A special mini collection presented also the talented students of Prof. Lubomir Stoykov and Assoc. 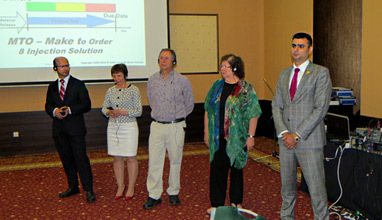 Prof. Mariela Gemisheva – Rafaela Rafaelova, Boryana Nikolova and Nikolay Bojilov. 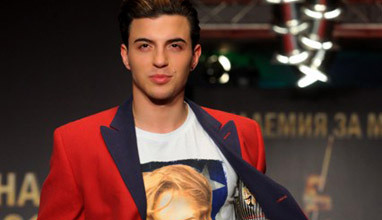 The new winners of the prize “BG Fashion icon” for 2012 were chosen after online voting of the readers of the magazine, as well as from 40 leading Bulgarian lifestyle journalists and the editors of the magazine. Collection Spring-Summer 2012 of the Bulgarian fashion house "VETEIDA" that was shown at the Festival of fashion and beauty Varna 2012, is an inspiration of the modern woman, for which innovation, dynamics and happiness from life are moving powers and clothing is their manifestation. The designer of the models is Vessela Vassileva, owner of fashion house "Veteida". The colours that dominate in the collection are black, white and light blue. The Bulgarian designer Mira Bachvarova presents her new collection 'Legend for the lions', which is inspired by the Bulgarian historic symbol, that exists in the national emblem of the country - the lion. The photo shoot is made in Sofia on the Lions` Bridge. Photographer is Dilyana Florentin. This summer will be colorful and full of prints. For those who think "nothing new under the sun" I will say that although trends repeat each year, this summer the patterns on the clothes are different and memorable. 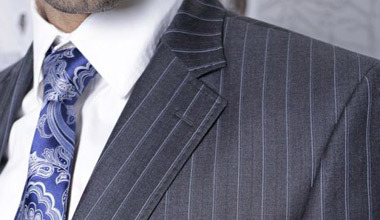 For example, stripes - they are not boring and monotonous, but a combination of thin and broad lines and different colors. They can be vertical, horizontal and even diagonal. We can see them in the collections of many designers worldwide. 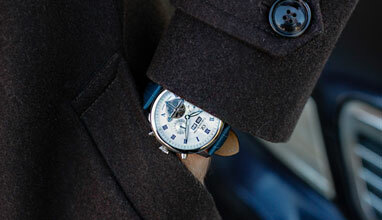 The Bulgarian brand Daphne also offers original combinations of stripes in different colors. 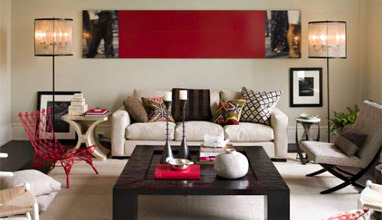 Stripes have been successfully combined with other geometric shapes, which is also very trendy. Cold days approaching and we are all eager to know what should we add to our wardrobe for the new season. Fashion trends for autumn/winter 2011-12 are cheerful and promise to keep us away from the depression of the cold months. 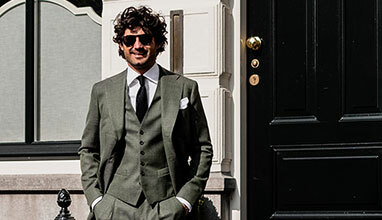 There are several trends for the season which you should consider upgrading your wardrobe. 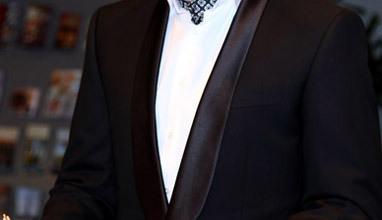 Black, dark blue, brown and gray are part of the color palette. In the classic combination of black and white, every woman radiates elegance and business style. To bring you good spirit and to break the classics, we provoke you with green, orange, red and electric blue – a little freshness in autumn and winter months. This evening in London took place the contest Miss World 2011, which had a record number of participants - 122. The crown of Miss World 2011 won the 21-year old beauty from Venezuela Ivian Lunasol Sarcos Colmenares, 179 cm. Her runner-ups are from the Philippines - Gwendoline RUAIS (2nd place) and Puerto Rico - Amanda PEREZ (3rd place). The top seven finalists were from Korea, Venezuela, England, Philippines, Puerto Rico, South Africa and Scotland. The story of the beauty from Venezuela Ivian Lunasol Sarcos Colmenares is like a fairy tale. 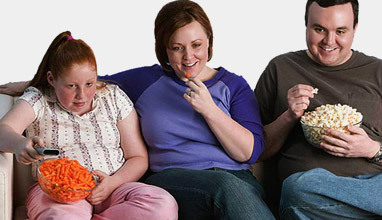 At the age of 8 years she became an orphan, when her parents died. Ivian was raised by the nuns in a convent in Tachira and was named Sora Ivian. The Bulgarian fashion brand Denyl presented its new collection in a non-standard way. The clothes were painted on the bodies of the models. We have used to see the new designer collections at traditional fashion shows, where nice models pass on the catwalk and show the new trends. Yesterday in Sofia took place a non-standard event. For the first time the models did not wear the clothes, they were painted on them. "Our aim was to make the clothes live. Everyone can dress a model and make it walk back and forth. But not everyone can make the clothes live", explained the organizer of the event and author of the idea Mariana Germanova. A lot of beauty and charm promise the organizers of this year's edition of the contest Miss Bulgaria, which will be held for the first time in a special TV reality format. Everyone will be able to sense the emotions directly on TV7. Conferencier of the gala ceremony will be the Bulgarian pop folk singer Kamelia, mentor will be Azis. Official designer of the contest this year is the top designer Sofia Borisova. The dresses are specially made for the evening from silk chiffon, organdy, satin and Spanish taffeta. 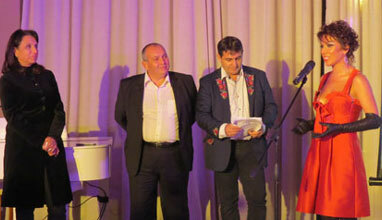 During 2011 the Bulgarian pop-folk singer Sofi Marinova celebrated her 15 years professional anniversary. The gypsy pearl went a long way to turn in one of the most loved singers in Bulgaria. For her concert Sofi changed a lot of dresses made by Romantika Fashion House. She chose 17 dresses of the house's last collection, named DIFFERENT, with designer Sofia Borisova. The dresses are made by nature fabrics - cotton chiffon, organza, satin and Spanish taffeta. The Bulgarian singer fixed on colors like black, white, turquoise, Turkish blue, silver, coral and violet. An impressive fashion show – work of the graduates from "Design and architecture" department, module "Fashion", was presented in Sofia hall “Florimont Expo” on 6 of February. Under the theme "(R)Evolutions" the fashion graduates demonstrated their creative works – collections of 6 models each, designed and constructed by the students. 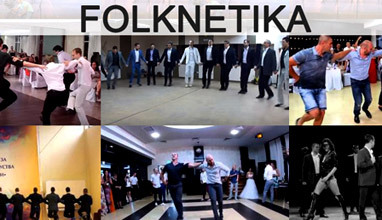 On 5 and 6 February, 2011 for the third time will be held wedding exhibition BALKANICA WEDDING EXPO. Balkanica wedding expo is a major trade show which displays the trends in Bridal and groom Fashion in the Balkan Region. 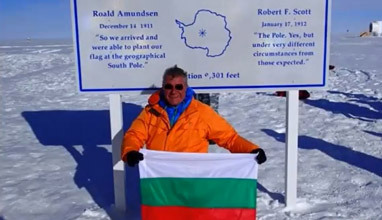 A unique event in Bulgaria, organized by EXPOLINE company will traditionally took its place in the capital's Sheraton Hotel. As every year the exhibition will bring together again leading companies of the wedding industry in Bulgaria and other countries. Elena Petrova, Gala, Valentina Voykova, Kalin Vratchanski and Vladimir Karamazov are the most elegant Bulgarians for 2010, according to the popular online magazine Fashion Lifestyle Magazine with editor-in-chief Lubomir Stoykov. The new “BG fashion icons” for 2010 were chosen by the readers of the magazine after online voting and by an expert panel of 30 leading fashion and lifestyle journalists and the editorial team of Fashion Lifestyle Magazine. The scent of Bulgarian roses will allure you in the new fragrance of the luxury perfume brand Issey Miyake. In Paris everything is different. Even a cloudy day in November is capturing with a mysterious and enigmatic radiation. Privacy and seduction are the two key words that describe completely new fragrance "L'Eau d'Issey Florale", which was presented in the French capital. 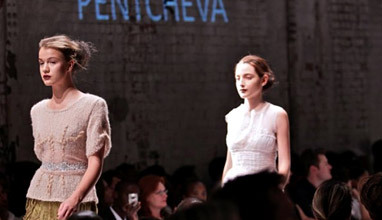 We present to you photos from collections for Fall/Winter 2010-2011 of more than 25 Bulgarian fashion companies. 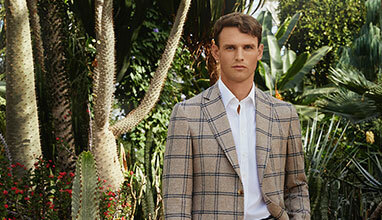 The garments, available for the season are practical, with clean and elegant line. 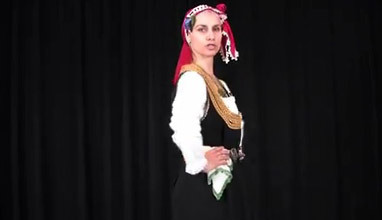 From these collections you can judge the level of Bulgarian fashion at the moment, having in mind that we mainly present ready-to-wear garments. 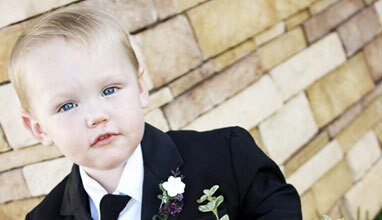 We plan to publish a separate article about formal and bridal designer collections. The aim of this article is to hear your comments – the actual producers and designers and people who buy Bulgarian clothing. 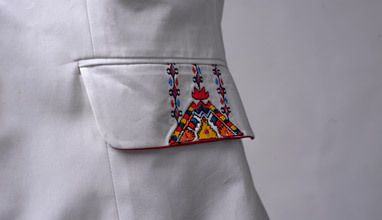 Coralia is a trade mark of designer Veneta Vassileva. This year, on June 15 the fashion house turned 20 years of presence on the Bulgarian market and presented its anniversary collection on 11 June during the event "Fashion evenings 2010"
The brand clothing – casual and formal, is addressed to the modern and business woman. The clothes are comfortable, refined with good line, combination of branded textiles and accessories and high quality workmanship. The 21-year old brunette Romina Andonova from Sofia took most of the awards at the beauty contest "Miss Bulgaria 2010", announced the organizers. 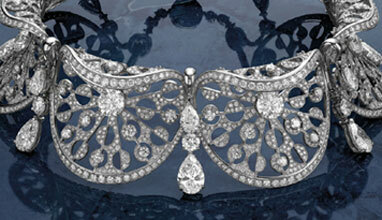 The beauty attracted the attention of the audience and the jury. 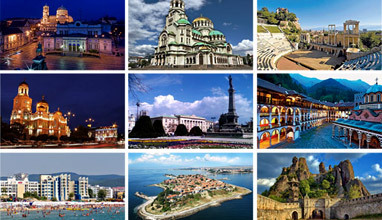 Romina will present Bulgaria in the world finals "Miss World 2010". The first runner up, according to the jury, with chairman Evgenia Kalkandjieva - Manova, is the 22-year old Yana Chinkova from Plovdiv. The blond is already popular being a weather girl in the television Pro.bg. She is also "Miss Plovdiv 2009". From Plovdiv is also the second runner up - the 21-year old red hair beauty Zornitsa Stoycheva. The traditional charity fashion show "Spring in Moto-Pfohe" gathered almost 34 000 leva - a record in the 14-year old history of the event. This years edition of the spring Holiday of beauty, organized for the 14th time from Moto-Pfohe and Bulgarian Red Cross, took place in the National Archaeological Museum in Sofia. With the slogan "Contemporary mosaic" the defile presented the creative individuality and nonstandard look at the wardrobe today of 18 young designers - bachelors and masters from the National Art Academy, "Fashion" specialty. 2002-2006 was a period of intensive development of the sewing industry in Bulgaria in relation to investments in modern technological equipment. 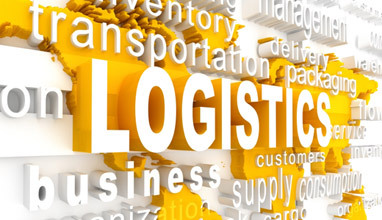 The number of the people employed in the industry are correspondingly - Bulgaria /170 000/ and Romania /280 000/. 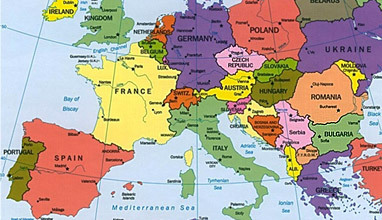 In 2007 Bulgaria and Romania entered the European Union and the customs tariffs were removed. In 2010 the present business situation requires short production series, high quality, competitive prices, and fast delivery terms. RICHMART INNOVATION – the aim of the congress is to bring together Western Europe and the confection and fashion industry of the Balkans. It is also an opportunity for designers – the people without whom fashion creation would be impossible. Today, on 15.02.2010, the models of Expose Model Agency - Yulia Yrevich, Gerry Doncheva and Emanuela Badeva, are departing to their participation at the Dubai Fashion Fiesta 2010. For the presentation of the new collections are invited 16 world-famous professional models such as Miss England, Miss Germany and Miss India. The supermodel from Visages fashion agency Tanya Ilieva took part in the unique fashion shows of the designers Alexis Mabille, Georges Hobeika and Dany Atrache at Paris Fashion Week, (January 24 - 28, 2010). Special guests of the exclusive fashion show of the designer Alexis Mabille was the editor-in-chief of the fashion bible VOGUE Anna Wintour, Dita von Teese etc. Vesselina Pentcheva understands what women crave and with her intuitive flair she combines the skill and artistry of tradition with up to the minute design. Born in Bulgaria she presented her first fashion show in her hometown of Russe at the tender age of sixteen. In 1993 Vesselina moved to South Africa to study at the Gordon Flack Davidson Academy of Design, where she gained a mastery of the classical techniques of couture and graduated as top student in 1996. Marianne Fassler who inspired her sense of freedom and creativity then hired her as assistant designer. 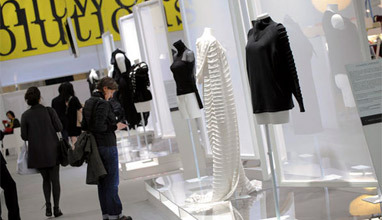 On January 21 in Geneva, Switzerland was held the EcoChic Geneva fashion show at the European headquarters of the United Nations. Julia Jurevich showcased the creation from the Bulgarian designer Evgeni Petkov. 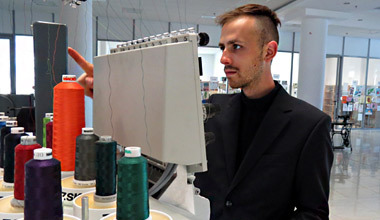 Key fashion and government figures met in Geneva for a two day seminar during this international year of biodiversity to support the world's biodiversity and sustainable fashion. Beauty contests are becoming more and more popular as they are always accompanied by a lot of glamour, beauty and emotions. They give a chance to many young girls to show their beauty and talent and start they modeling career. With the presentation of magnificent evening gowns and the round in bathing suits, those contests are very attractive for the spectators and they gain a big popularity. A lot of them turn in a grandiose show. An unforgettable spectacle was the contest miss Varna 2009, organized by VIP fashion group agency. 23-year-old representative of Gibraltar Kayane Aldorino was chosen as the most beautiful woman in the world for 2009. The ceremony took place on 14 November in Johannesburg, South Africa. The leggy brunette, dressed in white-lace evening gown, was crowned as silver confetti rained down onstage around her. Miss World 2008 " Ksenia Suhinova gave jeweled crown to the winner. Jana Jekova - Collection "Dolce Vita"
In the glamorous world of Bulgarian fashion, designer Jana Jekova is like... Felini in the cinema. Something big, spectacular, fantastic and bold... For the 25 years of work she achieved a lot. She is three times winner of the award "Golden Needle", given by the Bulgarian Academy of fashion, for several years she was creating the toilets for the "Miss World" Bulgaria contests, she has been an official designer of "Miss Bulgaria". Tsvetelina Borislavova and Miro are the most elegant Bulgarians - they received the prize "BG FASHION ICON 2009" by the 30 members of the commission, comprising of fashion journalists, selected by the popular online edition "Fashion Lifestyle Magazine" with editor-in-chief prof. Lubomir Stoykov. Diana Lubenova and Dimitar Berbatov are the prize winners from the online voting of the readers of "Fashion Lifestyle Magazine". Juliana Doncheva is "BG FASHION ICON 2009" in the category "editorial award". Fashion.bg was a member of the jury. Special awards to the "icons" were given by many sponsors. On 12 December in Sheraton Sofia hotel was held the XVI-th Ball of Top Models. The entrance was with invitations and prices between 95 and 175 euro. 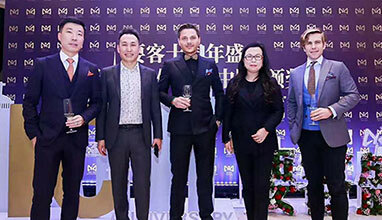 Among the guests was the 86 year-old Julia Bul (Julia Hristova), who draw everybody's attantion with her toilet in scintillate blue and gold, in contrast with all ladies, wearing classic black and white. Missis Bulgaria 2009 Universe Elena Karakoleva was wearing a toilet of My Lady. She arrived with the owner of the Bridal Fashion boutique Anelia Petkova, who represents the brand My Lady in Bulgaria, in a 12 meter Hammer. 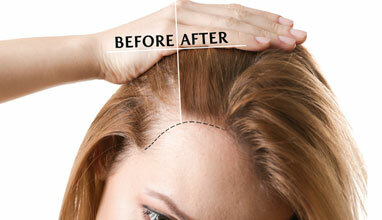 VIEMA is established in 1995 as a designer brand and manufacturer of outerwear. 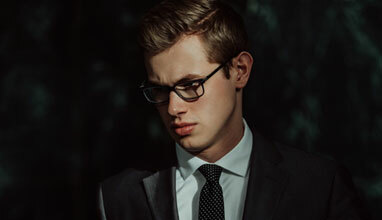 The strong classic appeal of the brand has earned broad appreciation and popularity and has long become a fixture in the wardrobe of the people with affinity to smart wear. 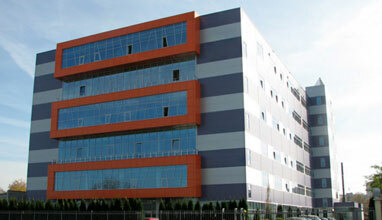 The company manages its own manufacturing site in the city of Pleven (North Central Bulgaria). 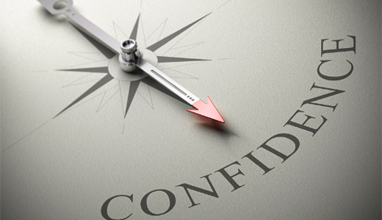 Its adaptable size makes possible a flexible planning process and better quality control to ensure outstanding final product. At the beginning of the year, with a magnificent ceremony on the stage of Rainbow Plaza, Antonia Petrova was chosen as the most beautiful Bulgarian woman for 2009. Antonia is 25 years old from the town of Pernik. Speaks fluent English and Russian and has two higher educations in the field of international economic relations. On December 12, Antonia will be able to demonstrate her intelligence and ravishing charm in the world's biggest beauty competition Miss World '09. The prestigious title was given to Blagovest Anev top model of ЕS line Models and Svetoslav Manolov from the city of Sandanski. The best models of Bulgaria 2009 Women became Nina Angelova from Yoanna Art agency and Diana Ivancheva from Expose models. 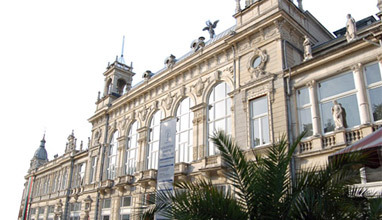 Bulgaria will be hosting the 22-nd edition of the world contest for professional models Best Model of the World 2009 and has the right to present two models on 11 December 2009 in the National Palace of Culture in Sofia, hall 3. Munich, August 31, 2009 - Super model Jourdan Dunn set in scene this year’s inspirational lingerie designs from 28 young designers around the world at the Triumph Inspiration Award campaign shooting. The creative pieces worn by the star model were photographed by the Italian fashion photographer Giovanni Gastel. 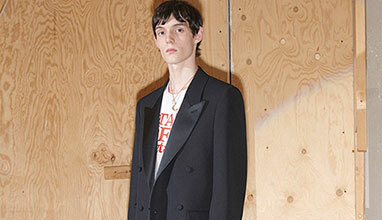 At the shooting Jourdan Dunn and Giovanni Gastel slipped into the different creative ideas of each individual design to emphasize this year’s design motto “icons”. “For a perfect picture, I just need poetry and beauty. All these designs gave me both. The creative burst of the young talents gave me a lot of inspiration”, said Giovanni Gastel about the shooting. Bulgarian fashion brand Doychinoff will take part in Paris' fashion week this year for the first time. “Co-evolution occurs when two or more biological species influence each other to their evolution.” This sentence is on the top of the new catalog cover of designer Maria Doychinova, which presents her last collection, named Symbion. “It is symbiosis between arts and fashion. We worked with two artists Iskren Iliev and Iliana Nagel. We make one closed circle , in which on one side their paintings were inspiration for me, and at the other side created huge paintings 2x2 metres, connected with my collection”, explains Doychinova. As we promised in the previous article of bgfashion.net we will present you the collections of the designers and fashion houses who took part in the Day of Bulgarian fashion in Rome. 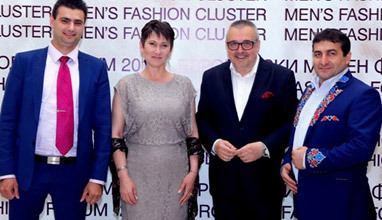 The final evening, dedicated to Bulgarian fashion design was organized by Mrs. Jana Yakovleva, chairwoman of the Bulgarian-Italian cultural association Phoenix and Prof. Lubomir Stoykov – chairman of the Academy for fashion. The world fashion chanel Fashion TV will start to broadcast from Bulgaria in autumn. 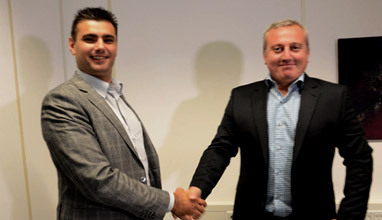 A party in the Sunny Beach resort was organized in honour of the future channel start. Guests of the event were Orlin Goranov, Kalina Koceva - editor-in-chief in "Bliasak" magazine, Yana Tabakova - editor-in-chief in "Beauty" magazine, Natalia Karayaneva - furniture "Varano", Todor Slavkov, Rumen Boyadjiev, Diana Velikova and Deyan Petrinski from Expose Models. The green eyed beauty from Dve Mogili left some days ago for the Bahamian islands, to present our country in the 58th issue of the world competition "Miss Universe" 2009. The 19-year-old Elitsa who won 2nd place of "Miss Bulgaria" 2009 is a graduate of the NSFA "Philip Kutev" in Kotel. She is training professionally national dances and during her free time is drawing and swimming. In two consecutive articles we will present you the collections of the designers and fashion houses who took part in the Day of Bulgarian fashion in Rome. 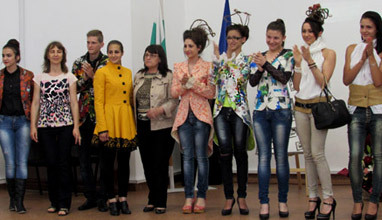 The final evening, dedicated to Bulgarian fashion design was organized by Mrs. Jana Yakovleva, chairwoman of the Bulgarian-Italian cultural association Phoenix and Prof. Lubomir Stoykov – chairman of the Academy for fashion. This project is an immense result, born from the common efforts of Sofia Municipality and Rome Municipality for Bulgarian-Italian cultural exchange and cooperation. Pronovias - the leader on the world bridal wear market demonstrated high class during the fashion show, held in the Catalan capital Barcelona. Over 2000 special guests and official representatives of the brand from all over the world enjoyed the work of the indisputable geniuses – Valentino, Elie Saab and Manuel Mota. New design, perfect cut, especially created fabrics and tender pastel colours will delight future brides. The Bulgarian brand Jullia Kontogruni was invited to participate for a second year in Bucharest fashion week with main media partner Fashion TV. During the fashion show miss Romania walked in a wedding outfit of the fashion house. Jullia Kontogruni presented their boutique and wedding dresses, with embroideries and hand sewn stones and exquisite stays. The fabrics are from the most luxurious and limited selections of world famous brands, mainly silk, French and Italian laces, tulle, organza and satin. The designers' duo "Bipone", "Golden needle 2008" owners for the best young designer proved again that they deserve this award. The students of New Bulgarian University succeeded in two weeks to provoke the media. After they were between the eighth finalists from whole Austria on the fashion competition "Ringstrassen Galerien Designer Award", they presented their collection glamorously on the last fashion show in Hilton hotel in Vien. On the grand fashion performance the talented Bulgarians made the fashion specialists seriously to reestimate the value of Bulgarian fashion. 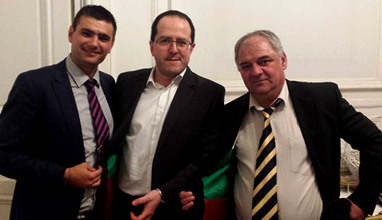 Between the 500 official guests were the Bulgarian ambassador in Austria Radi Naidenov and the director of the Bulgarian Culture Institute Borislav Petranov. In an eccentric and exciting review show in Hilton hotel, the Bulgarian "Triumph Inspiration Award" 2009 finalist was chosen. The designer's creation "Day and night" of the winner Iskren Lozanov has been inspired by 20th century art genius Pablo Picasso. Iskren Lozanov is a 3rd year bachelor in the National Arts Academy (NAA). He won a six-week training in "El"-magazine, Bulgaria, and a unique opportunity to present our country in the final of "Triumph Inspiration Award" 2009 world, which will take place in september in Milano. 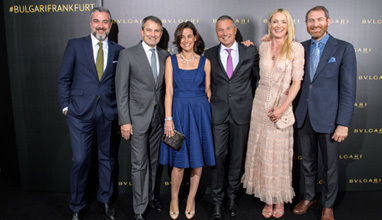 Bulgari celebrated its 125th anniversary by inaugurating its first-ever retrospective exhibit in the prestigious Exposition Palace of Rome. It will remain open to the public from May 22 to September 13, 2009. The "Between Eternity and History: 1884 - 2009" exhibit will cover the most significant phases in the history and evolution of Bulgari design, from the opening of the first store on Via Sistina in 1884 to the present day. 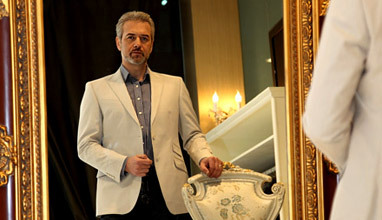 In May 2009 the make-up artist of Bulgarian stars - Kiril Chalakov celebrated his 15-year work anniversary. He organized for his partners and clients through the years an elegant presentation at the Sheraton Sofia hotel, called “La vie en rose”. There he presented his album "Kiril Chalakov 15 years beauty", which includes selected photos of twenty of the most popular women in Bulgaria. Many surprises expected the guests of the event. The new Miss Bulgaria is Antonia Petrova from the city of Pernik. The blond beauty is 24 years old and has two degrees in higher education - in Economics and Law. She will present Bulgaria at the contest Miss World 2009. The first runner up is Elitsa Lubenova from Dve Mogili, who is 18 years old. She studies in a school for folklore dances in Kotel, her dream is to dance on the scene of Bolshoi theater. The title Miss Beauty of the World Bulgaria 2009 received the 17-year old Ruslana Kaneva from Sofia. She will present Bulgaria on the contest in China in April. Miss Tourism Planet is the 19-year old Polina Gergusheva from Sofia, who will represent Bulgaria in Athens. Polina writes music and wants to be a journalist. 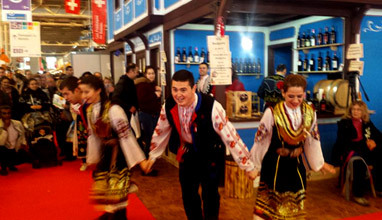 The 5-th International b2b Gift Exhibition REGALO will take place on 12 – 14 March, 2009, Sofia, Bulgaria. 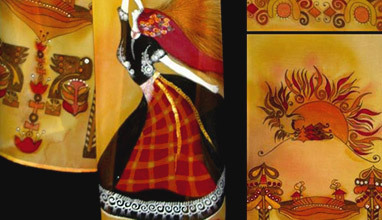 The success of the previous editions definitely showed that the recently established gift market in Bulgaria is quickly developing and expanding. A lot of gift shops are still appearing in order to meet the growing demand for all sorts of gift items for any occasion, from business and luxury to original and amusing ones. 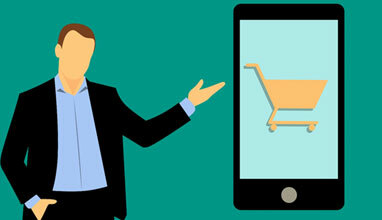 The total consumption of gifts, decorative articles, jewelry, household articles, toys, sports, camping goods and stationery in 2007 in Bulgaria amounted to ? 364 million and is continuing to grow steadily. This process is highly favored by the EU membership of the country and the whole economic growth in the Region. Wouldn’t it be nice if savvy people could meet in chic, casual venues and experience the taste and tradition of other cultures? An Exciting Evening at the Embassy of BulgariaProfessionals in the City, a Washington, DC-based organization with over 100,000 members, hosts a myriad of social events, from sunset kayaking to Carnaval 2008 in Rio de Janeiro, Brazil. On July 27, Pros in the City hosted “An Exciting Evening at the Embassy of Bulgaria” in the Nation’s Capital (USA) at the Embassy of the Republic of Bulgaria. 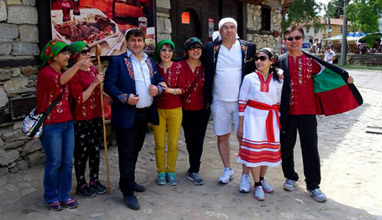 Guests were welcomed by a delightful embassy staff and ushered into a sizable room decorated with Bulgarian artifacts, where a buffet-style dinner of ethnic cuisine was tastefully presented. Forum Bulgarian Fashion 2007 traditionally was held in the resort St. Konstantin and Elena at the hotel complex “St. Elias”. The most famous Bulgarian models as Magi Zhelyazkova, Tedi Velinova, Violeta Zdravkova, Jasmina from the Nova TV show “Deal or not”, Boryana Shehtova took part in the fashion show. All they have presented formal dresses, every-day apparel and swimwear of top fashion brands. The famous top model Iren Onteva led the fashion show. The studio of the bTV fashion show "Mirrors" turned into a glorious stage where the most trendy solutions for this summer season were presented. 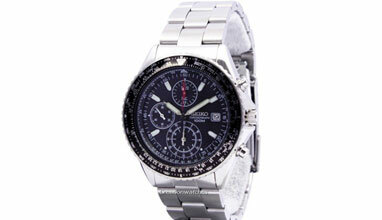 They were designed by many and famous Bulgarian and foreign brands. This fresh and colorful fashion show was a part of the "Golden needle" gala-eve held by the Bulgarian Fashion Academy. 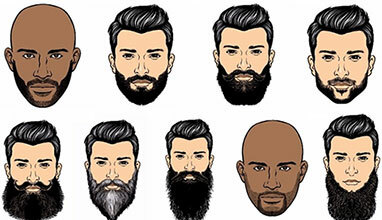 In a couple of articles we will introduce you to some of the most interesting fashion trends. The most expensive football player in Bulgaria - Tiago Silva from Brazil, who will play in the Italy next season, was the attraction in the show for the opening of the new shop Bobo Zander sport, situated in the prestigeous shopping center TZUM. He entered the role of a model together with the girls from "Ogledala" and received the applause of the guests of the event. Albena Aleksandrova won for the 3rd time Golden needle prize awarded by the Bulgarian Fashion Academy. This was the conclusion when the direct electronic voting of the 36 jury members was closed. "Zebra" - for the fashion house of the year; Angel Tsvetanov – for the fashion photographer of the year; Kiril Chalakov – for the make-up of the year and the pop singer Irina Florin – for the most successful debut of the 2006th. The creative tandem Bilyana and Petar living and working in Vienna, will open their first atelier in the downtown of the Austrian capital city. 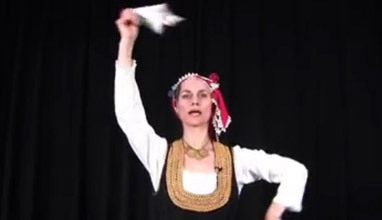 Both Bulgarian designers are known as “Bipone“. The opening date is February, 15th. All the connoisseurs of this fashion tandem will take the chance to visit „Bipone Design Atelier“ where they will find unique, hand-made toilets. Designers from Bulgaria created unique toilets for Barby doll. The dresses were shown on special exhibition at The City Center of Sofia during "The Internacional week of Blonds". The president of The Russian Busines Club-Olga Uskova and the president of The Internacional Blonds Association-Natalia Stolyarova were the kind founders of event. In the end there was carried out a charity auction where many dolls were sold. 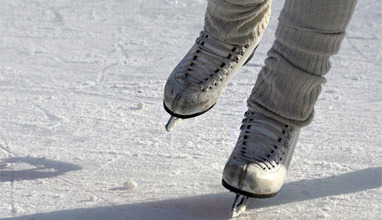 Funds are meant to children from "Nadezhda" orphanage. Dressed by Astella Atelier, Galena Dimova - Miss Bulgaria-World 2006 is getting ready to conquer the competition "Miss World 2006" in Los Angelis. Author of the unique dress is the designer Alya Milusheva. After analysing Galena's skin, hair and eyes the designer chose a toilet designed in peach and turquoise colours with a slight golden spice. She also considered the competition requirements, which don't tolerate quite uncovered dresses and a lining of natural skin colour should be used under any transparent materials. The dress outlines the body shape and the fabric falls down airily with skin caressing. The competition "Miss Bulgaria 2006" chose for its designer Alya Milusheva-Dimitrova and Astella Atelier. The candidates for the prestigeous title were dressed in 36 unique toilets designed by Alya. 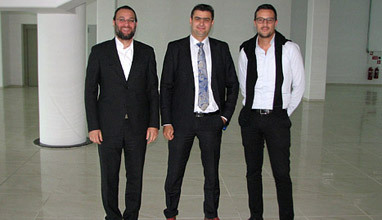 The famous designer was also in the jury of the competition. For the first time in the history of the competition for queen of beauty it took place in Plovdiv, not in the capital Sofia. Rumiana Marinova won the award Mrs. Globe 2004 in _alm Springs. The 28-year old Bulgarian earned the approval of the jury with her appeal for freedom of Bulgarian medics in Lybia. She is a dentist and has a 3-year old daughter. Rumiana Marinova will receive $1,000,000 most of which will be given for charity. More than two weeks Elena Tihomirova, "Miss Bulgaria Universe 2003" is a part of the great experience called "Miss Universe". The final show of the competition is on the 3rd June and will be broadcasted live on NBC. In the prestigeous contest this year will take part 72 representatives from different countries. Two of the preliminary rounds have passed - National costume and night dress. Elena was also interviewed by the jury. The dress, which the Bulgarian participant will wear on the 3rd June on the scene of Miss Universe, is designed by Maria Nedkova. The shoes, with which Elena will step on the unlikely sets of moving platforms, are specially made from the same textile as the dress by the Hinso-Rousse company. Teodora Burgazlieva: "I am proud to be Miss Bulgaria 2002"
"Miss Bulgaria 2002" is Teodora Burgazlieva from the city Pomorie. The beauty of VISAGES MODELS AGENCY was born on 5 September 1985 in Pomorie. She is 175 cm high, weighs 54 kg and her measures are 90 - 62 - 92. Miss Bulgaria 2001 Ivayla Bakalova is the new "Model Of The Universe 2001". She won the prize in the world final of the pageant on 12 November in Istanbul. More than 50 Countries competed for the title of Model Of The Universe 2001. The exquisite premiere of "Bvlgari blue" in Hilton hotel in Sofia drew the attention even of the Italian heir to the crown - king Vittorio Emanuelle di Savoy. Together with him was, the Italian embassador - his excellency Alessandro Graffini. The 19-year old Ivayla Bakalova from the city of Varna became "Miss Bulgaria 2001"
The jury comprised the president of the Bulgarian Football Union Ivan Slavkov, the sculptor Vejdi Rashidov, fashion photographers, editors, producers. They chose Ivayla Bakalova because of her womanhood and her measures 92–63–88 cm.